Design Team Call at Imaginarium Chipboard through Facebook, and I figured it would not hurt to try out for their Design Team...who wouldn't want to have some fabulous Chipboard to play with!! Here are my 10 Favorite Projects using Chipboard. #1 My most favorite Chipboard project is My Mother's Day Card. Here is a close up of the Chipboard piece. It was hand painted to look like a fancy basket of rose buds, glossed and then embellished with Liquid Pearls. I just loved playing with the chipboard on this layout. I had all of these scraps and the negative pieces left over, so I decided to emboss them all in a beautiful Gold color and then embellish the pieces with transparent champagne colored glass seed beads. Here is a close up of one of the negative pieces (used at bottom of photo) and border pieces (across the bottom of my LO page). Here I went simple but created a statement using Gold Embossing Powder on the word "handsome" and Scroll work piece upper Right. I did this piece for my Local Scrapbook Store. The large chipboard frame was covered with patterned paper, then stamped with a stamp I carved. Next I doodled on it with a Perfect Medium Pen and embossed it with Perfect pearls gold powder. Finally I painted a Rose and leaves in the lower right corner. UTEE was used to give it a glossy Victorian feel. The inner square chipboard frame (set on point in photo) was covered in torn paper, stamped and covered in UTEE. Close up of Rose and Scrollwork Chipboard piece. The Scrollwork was painted cream, then shaded with brown. Covered in UTEE and then embellished with Liquid pearls. Butterfly chipboard in upper Right, and Mother's day sentiment, as well as the large scrolls were all hand painted to match the color of the paper. The butterfly was shaded with paint, then embellished with liquid pearls. Again I used a Perfect Medium Pen on the Mother's day Sentiment, and embossed with gold perfect pearls powder. Additional layers of comma strokes of paint were added to the scroll pieces and topped off with dots of liquid pearls to add depth. The scroll chipboard pieces reminded me of Splashes of water...so they were painted blue, then shaded and highlighted. Glitter was added and then I covered the chipboard pieces in UTEE. Close up of one of the Chipboard Splashes. Butterfly embossed with Gold Embossing Powder. Centers of Dragonflies embossed with Gold embossing powder. Wings embossed with Red embossing powder. Sign painted. "Believe" chipboard covered with paint and then covered with transparent glitter. The letters outlined with glue and then I applied darker green glitter. I painted a couple pieces of Chipboard and used one of them on my Christmas Pillow Box. Here is a close up of the piece. You can see all four pieces that I painted below. After painting, Ranger's Crackle Glossy Accents was applied. Here is a Video Tutorial, showing you how to paint the pieces yourself. I hand painted the chipboard "Joy" and snowflakes with cream paint and then shaded them with brown. Then added some touches of brown glitter. Thank you visiting my blog today!! I hope that all of you who celebrate Thanksgiving, had a nice one, and that everyone is taking advantage of all the wonderful sales going on right now!! 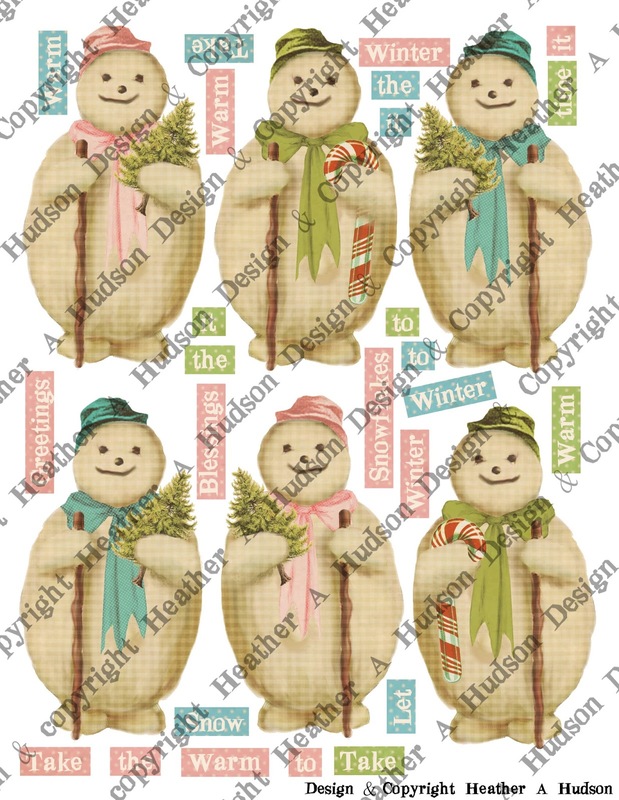 Warm & Cozy Winter White Snowman Delight Tag. One of my resolutions for the new year...is to get back into using some different techniques on my projects. 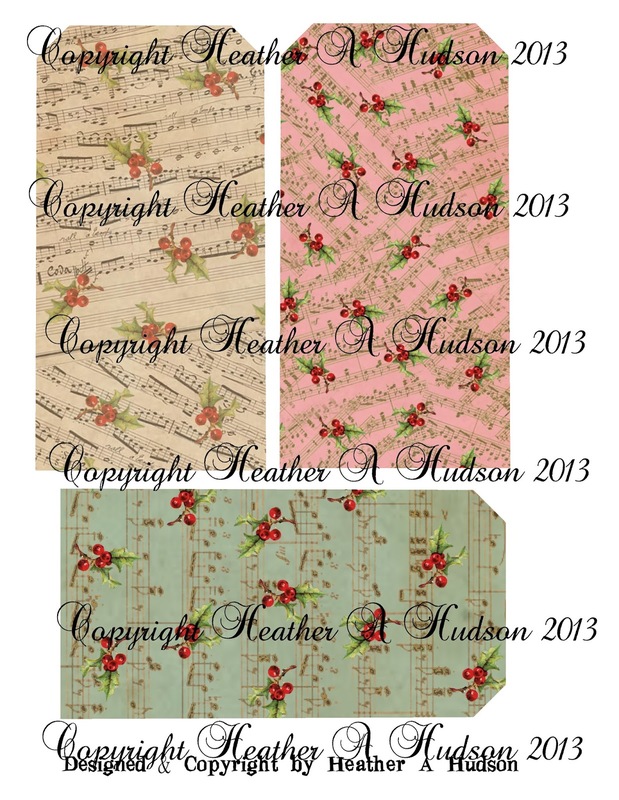 Sometimes I get so caught up in the fun of designing new collage sheets, that I don't take the time to play with ones I have already designed (they are sitting in my computer, patiently waiting for me to play with them...I feel so bad). So....here we go. Of course I have a wonderful selection of goodies from Really Reasonable Ribbon that I have used on my tag. Cotton Candy Baker's Twine, Natural Faux Canvas, 1.5 inch Ivory Crochet lace, Tabitha Nat. Crochet Lace, Gabrielle Off White Crochet Lace, Champagne Organza, Champagne Chevron Twill, Sheer Ivory/Cream two tone ribbon, Tombow Foam Tabs and Deep Ivory Mulberry Roses. I also used my Bow it All tool to create my bow. 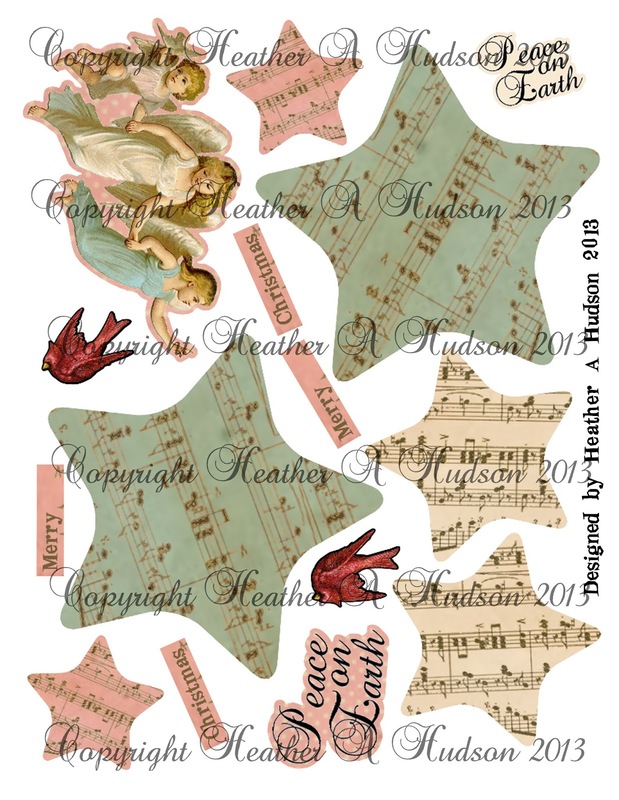 I used my Snowman Collage sheet, Vintage Music tag Bases, Dream Bingo cards and Peace on Earth Digital Collage sheets for my tag. 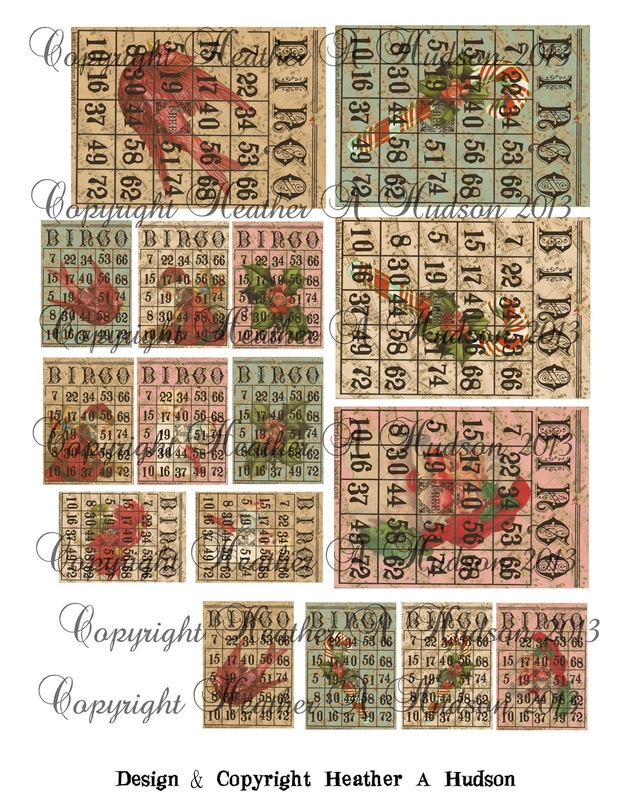 Here are some close ups of the hand painted chipboard, lovely lace and flower in the lower right. 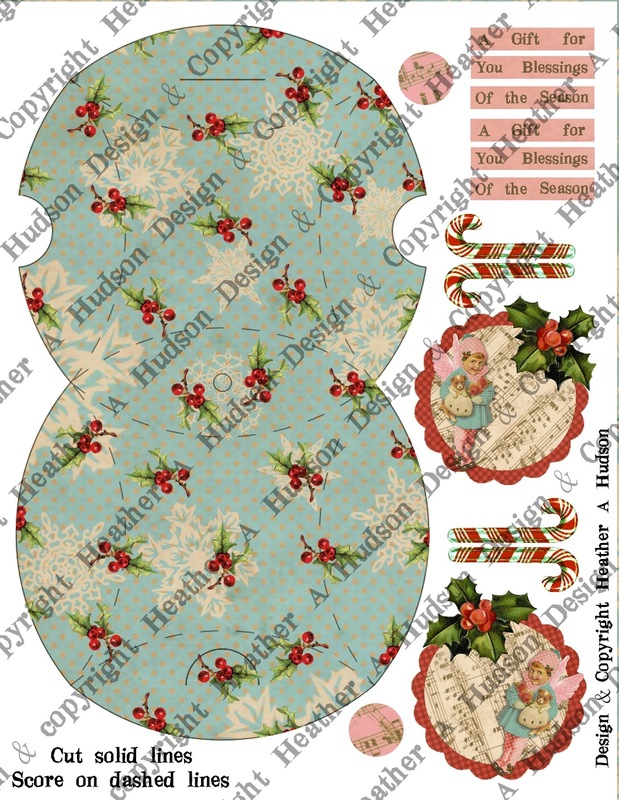 I love the pink star with the painted chipboard snowflake, ribbons and lace! My favorite Snowflake at the top. Love all the laces and ribbons!! Here is a close up of my Snowman. Today I would like to share with you a blogging and painting tutorial. Many times when I am visiting other blogs I will see something like this on their blog (meaning the white highlight behind the text here...lol). I have done a tutorial on how to fix this. Whether it is white behind the text or a different color behind your text. Pillow Box Ornament Tutorial on my Blog. I had a couple pieces of chipboard that I had painted. Here is a close up of the chipboard piece on this box. I painted a couple pieces at one time. You will notice in the photo above that the one piece in the upper right was not covered with Glossy Accents, I wanted you to see the difference. The video below will show you how I painted the chipboard. It is kind of long...LOL. Once I get going....I get going and time just seems to slip away. So I would suggest you wait till snack, lunch or tea time to view. Challenge #20 Box it Up! Your challenge is to create some sort of altered box. You can create a box from scratch, or you can alter a pre-made box. Your box can be made of paper, wood, chipboard, plastic, or metal. As long as you dig into your hoard to decorate a box, you have met the challenge requirements! The box does not have to be used as a box...it can be used as home decor or for any purpose you can imagine. Let's box it up! I decided to do a NEW Pillow Box...woot woot!! I used some goodies from Really Reasonable Ribbon! Edna Crochet Lace and Tombow Foam tabs, Red with white dots grosgrain, Red Iridescent organza, Peppermint Baker's Twine a Deep ivory Mulberry Rose and Old Willow Organza. 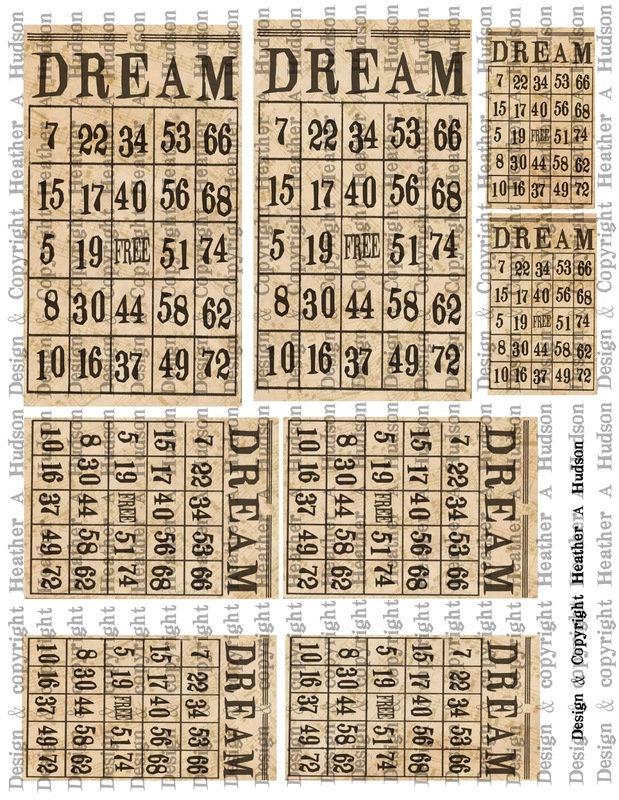 Since we are to use things we are hoarding...I have a pile of Bingo Card and Star images from some of my other sheets that I have not got around to using...so they are included in my piece below...as well as some chipboard pieces that I have been hoarding. I am having a Give Away. I have for sale in my Etsy Shop. 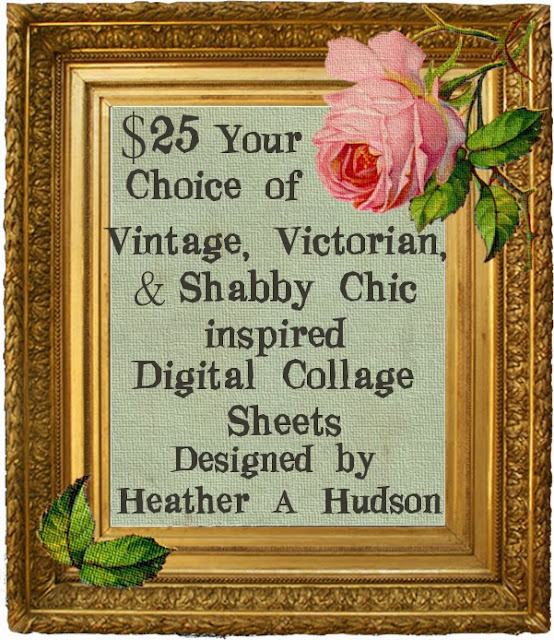 When you are finished with all the tasks, please send me an email letting me know what sheets you would like to win..or a general idea. So I know you played along. First I cut out my Pillow box and inked the edges with Ranger's Frayed Burlap. I cut out some images from another collage sheet and used the same ink to ink them. I punched a whole in the top where indicated on my pattern. First I placed one of the pink circle enforcers on the inside of the box to make the handle area more sturdy. Same with the outside top...added an enforcer. If you wanted at this time you could add the Old Willow Organza hanger. Much easier than doing it after you have closed up the sides. I took the Edna Crochet Lace and wrapped it around my pillowbox, gluing it in place and then doing the same with the Red with white dots grosgrain. I started the lace in the front, so it ended in the front and would be hidden by my focal piece. Now I actually opened up the bottom and tied and doubled a piece of Old Willow Organza and then tied the end into a knot, then threaded the loop through the whole in the top so it would be used as the hanger. I glued my sentiment into place and have all my goodies tucked in where I would like them to go. I added lots of glitter from Art Glitter. I also added a tiny button in the lower right tied with Peppermint Baker's Twine, and used a Deep ivory Mulberry Rose above it. I added one to the bottom left corner. 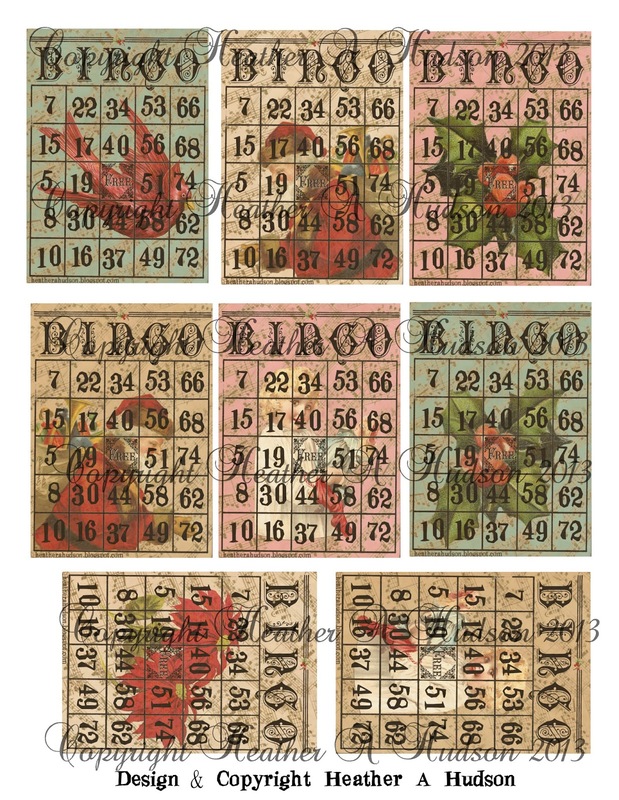 Detail of the tiny Bingo card and Candycanes. If you feel like listening...I talk you through what I used in the video below. 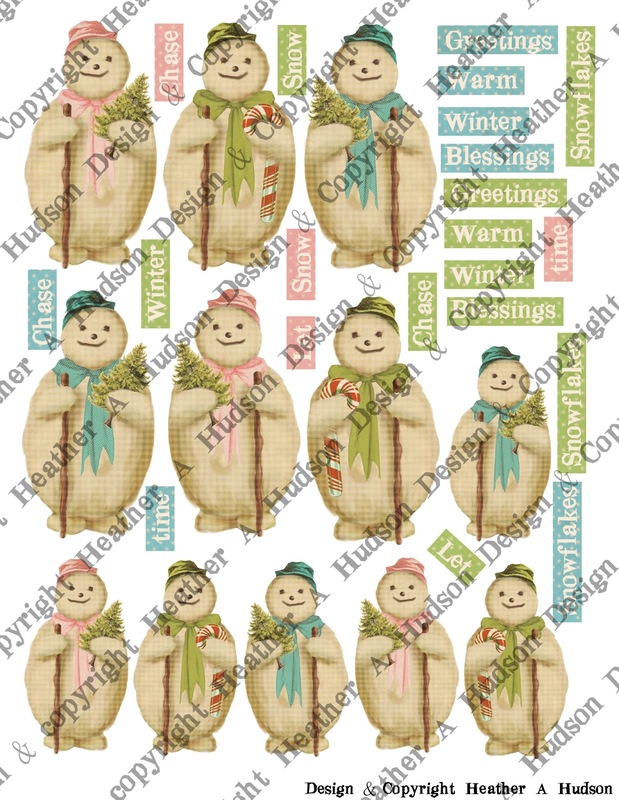 You can link up at Craft Hoarders here! !